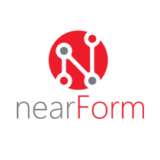 At nearForm we have been developing complex solutions for global organisations since 2011. Our team of more than 120 exceptional people, distributed throughout the world, build better software faster. From high intensity digital transformations, to delivering fullstack cloud-native web applications, our pragmatic agile approach is not just proven but is constantly evolving. By delivering world-class design coupled with world-class development, we have fundamentally changed customers’ expectations of what’s possible.